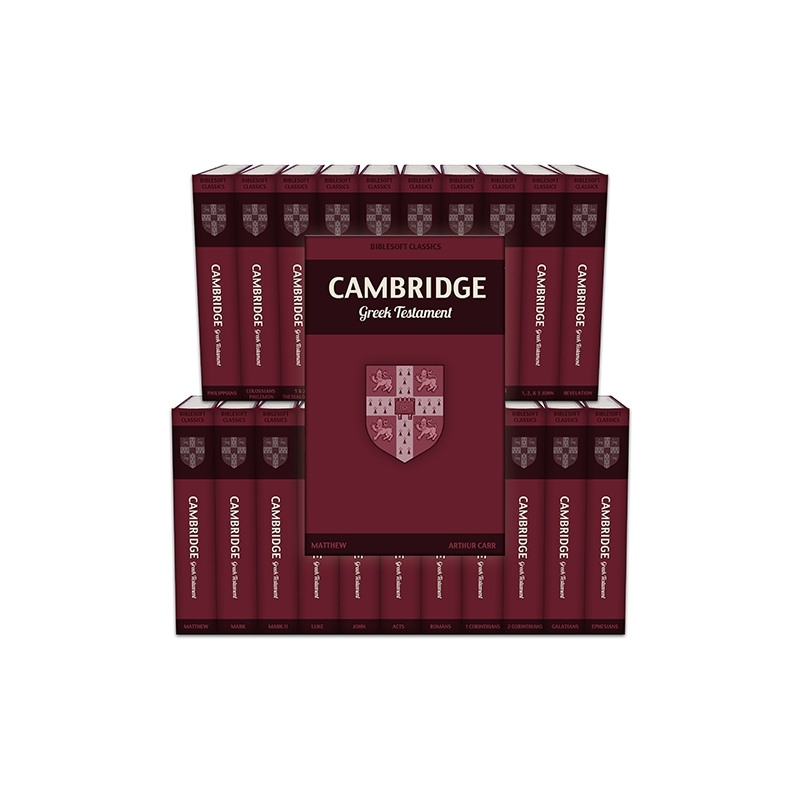 Rich with Biblical exegesis yet still easy to understand, The Cambridge Greek Testament is an indispensable collection for studying the original New Testament Greek. 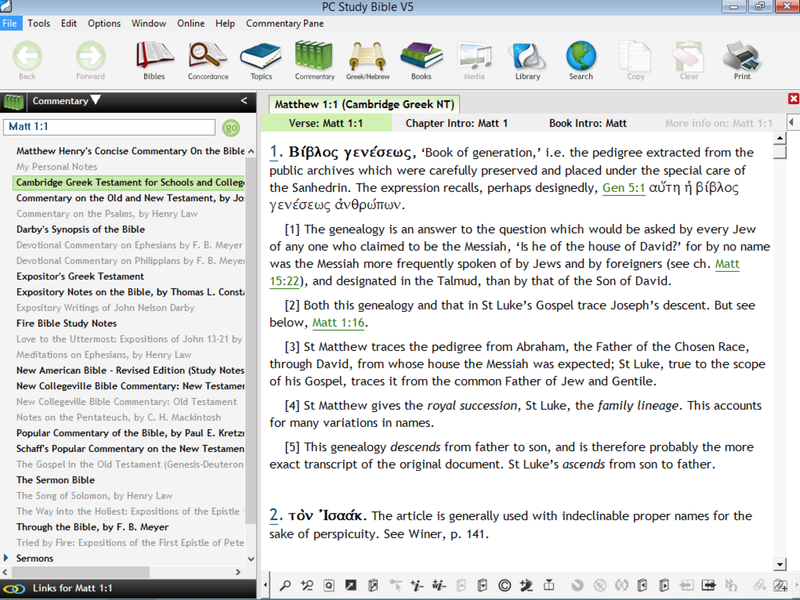 Discover the full meanings of verses with this commentary that is packed with powerful exegesis. 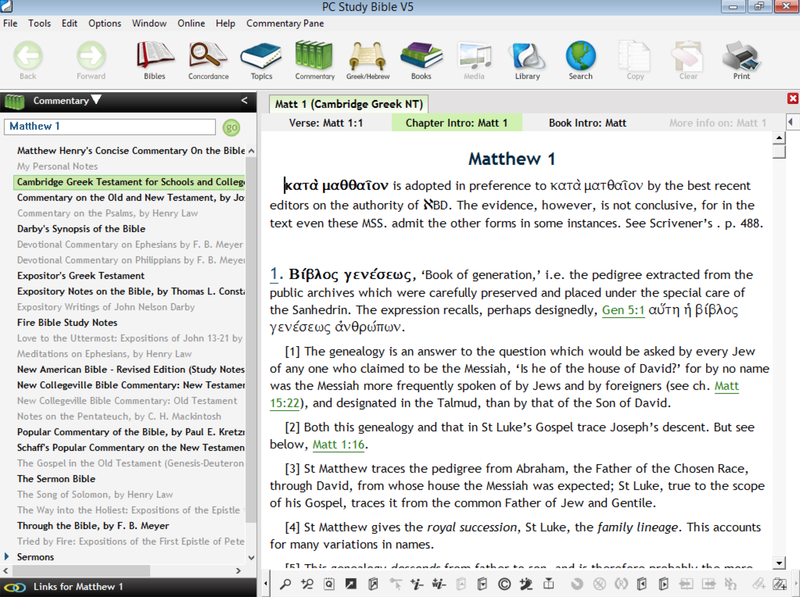 This amazing work includes outlines, verse-by-verse interpretation, historical facts, doctrinal discussions, word studies, and more. 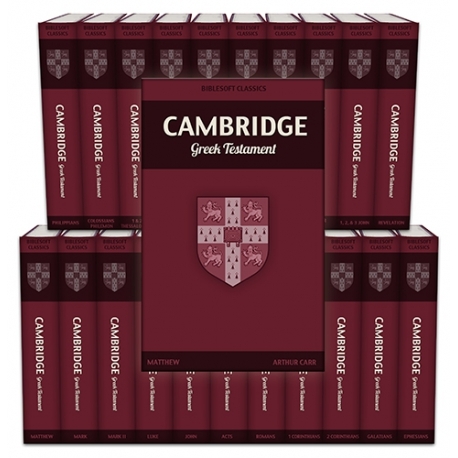 Rich with Biblical exegesis yet still easy to understand, The Cambridge Greek Testament is an indenpensible collection for studying the original New Testament Greek. Discover the full meanings of verses with this commentary that is packed with powerful exegesis and analysis of the Greek text. 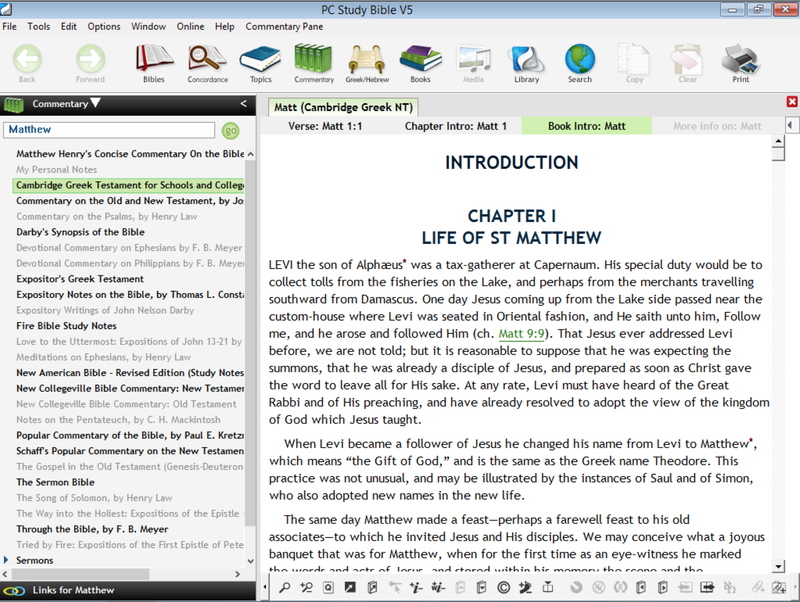 This amazing work includes outlines, verse-by-verse interpretation, historical facts, doctrinal discussions, word studies, and more. 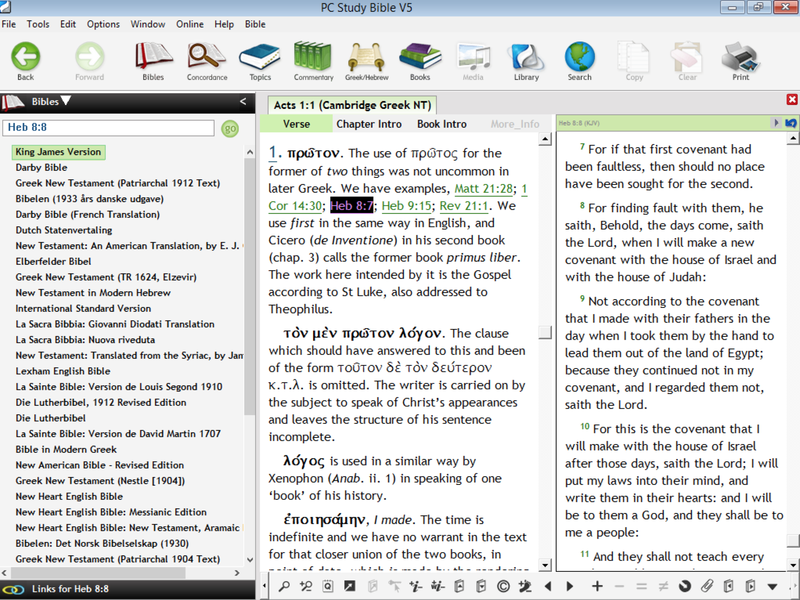 With PC Study Bible, the Cambridge Greek Testament (21 vols.) are completely searchable and linked to the Greek dictionaries and English reference works in your library. Carr examines the life of Mathew, and the authorship, purpose, and characteristics of the Gospel. Maclear provides an introduction to the life of Mark and the composition of the Gospel. Bernard’s commentary expounds the Greek texts of 1 Timothy, 2 Timothy, and Titus, J. H. Bernard was a scholar in Church history, theology and philosophy. Arthur Carr examines the authorship and the history of James’ and expounds on its message and content. G. W. Blenkin covers the doctrines discussed in 1 Peter, and explores its relationship to other New Testament books. Alfred Plummer provides a biography of John in his last years. Alfred Plummer provides in-depth commentary for all three books. Simcox also explores the angels of the Churches in Revelations, and the doctrine of Millennialism.